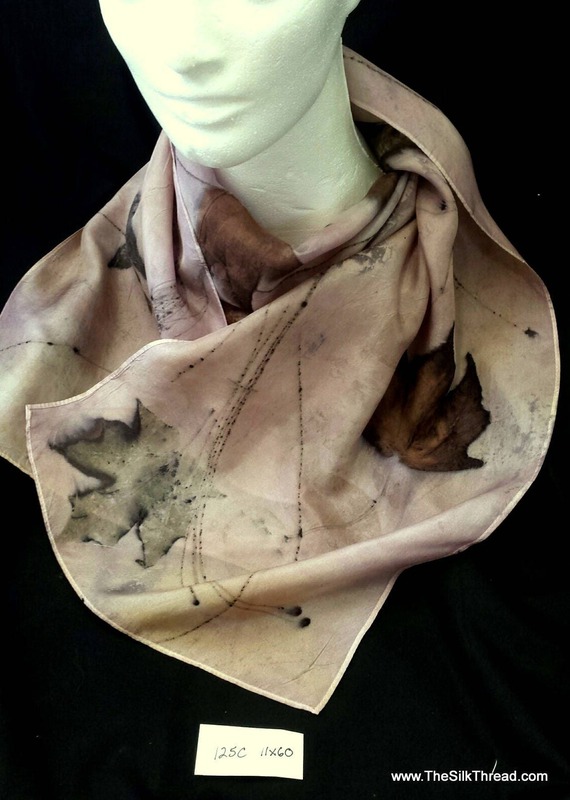 This is an eco-printed or botanically printed one of a kind silk scarf with a beautiful design from maple, pine and sumac enriched with logwood which gives that beautiful lavender color! It is 11" x 60" pure silk. My all natural technique creates detailed shapes and colors of the actual plant matter that I use. A unique and unusual gift! Totally sustainable, renewable and eco-friendly art form.